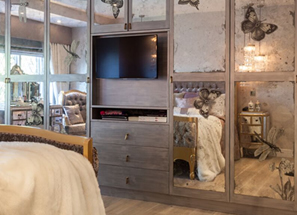 We offer a full installation service with the supply of antiqued mirror (as well as a supply-only option). 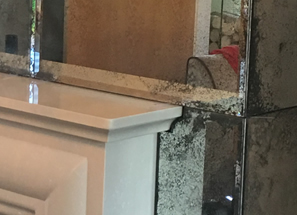 I have just had my chimney breast cladded with original vintage distressed mirrors, and it looks fantastic, a true show stopper. I'm so pleased with the result. There doesn't appear to be anything else on the market that can rival the vintage style it truly is a piece of art and speaks for itself, thank you Saligo. Jo in sales was very helpful and obliging she responded to all of my correspondence promptly and efficiently. Rei who performs the survey and executes the install was friendly and very helpful. An amazing, unique product with a great team. A typical installation is a two-part process with an initial site-survey followed by the installation upon completion of manufacture. We have refined our processes with experience to ensure a first time fit every time - we know how important that is to our clients. Typically splashbacks are toughened, particularly if positioned right next to a heat source like an Aga or gas hob. In a bathroom toughening is often essential as a breakage on to a tiled floor could cause injury. 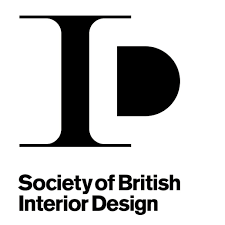 The skills and experience of our installation team mean we can offer advice regarding panel configuration (regular or abstract) including drawings for presentation.We can also template intricate architrave around mantle-pieces, for example, as well as measure for socket cut-outs, holes, corners, radius cuts and of course non-square or irregular shapes. It is very important that the area to be covered is flat and finished so that accurate measurements can be taken for the survey, and that there is no further change to the area before the installation takes place. Typically the basic cost for a survey and installation of a kitchen splashback in the London area would be £590 plus VAT. The cost will increase based on location, the number of panels, the surface area and the overall configuration. 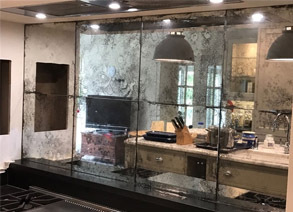 More and more of our customers (private and trade) opt for our full installation service as antiqued mirror is a relatively expensive product, and mistakes by other installers increase costs. 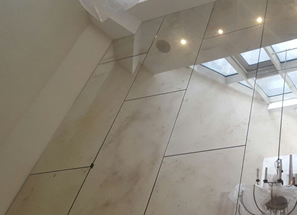 In-house Experience - Our employed installation team has fitted antiqued mirror in a wide range of properties and locations (UK and overseas), and has successfully tackled numerous installation challenges. 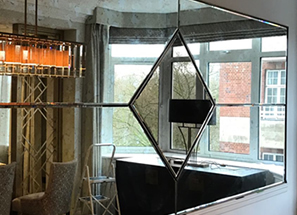 First Time Fit - We ensure a First Time Fit more than 98% of the time by conducting accurate surveys and re-checking panel sizes to ensure they meet industry-standard glass tolerances. 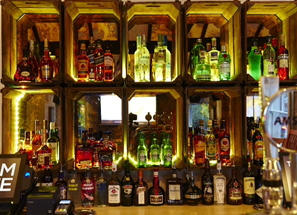 Peace of Mind - When we take on any installation, we take full responsibility, including handling the glass. In the unlikely the event that something is not quite right, we make sure it is resolved quickly and efficiently. Friendly and Efficient - Our equipment and methodology means that both the survey and the installation happen smoothly and efficiently with the least amount of disruption. Need advice on a project installation?